Well, it’s time once again for the Grammys, the music industry’s version of those shallow, junior high student council elections — everyone knows they’re only popularity contests. But as TV viewers watch an entrenched and venerated Irish rock band and a pair of talented, soulful upstarts face-off for the show’s top awards, there’s always the chance for a few surprises. In case you needed to be reminded that anything can happen, does anyone care to explain how Toto won seven Grammys in 1982? Or what about Steely Dan’s wins last year? Milli Vanilli? The prediction: Alicia Keys or U2. Chalk it up to their mass appeal or their record companies’ publicity muscle, but this category will be a U2 and Keys showdown. Both India.Arie and Outkast will probably get swept away in the flood of praise for U2 and Keys. “Drops Of Jupiter” is a song destined to become a light-rock staple, but it just isn’t cool enough to win. The prediction: U2. This should be a cakewalk for the Dublin quartet. “All That You Can’t Leave Behind” was a roaring comeback for the band, in which they shed their edgier musical tendencies in favor of feel-good anthems. Dylan and Outkast are more deserving in this category because they don’t rely on cliches, but they won’t get the nod. The prediction: Alicia Keys. In this category, Keys has the biggest hit. U2’s Curtis Mayfield-style song hasn’t been as popular as other singles off this album. Nelly Furtado could sneak in there, but her album sales lag behind Keys. The prediction: Alicia Keys. Although Linkin Park sold about a million more records last year and Furtado and Arie were more inventive on their albums, Keys is MTV’s and radio’s darling. No one can deny the new queen of soul her trophy. 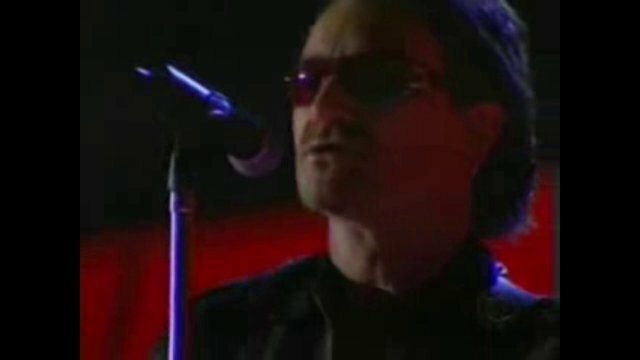 The prediction: U2. What is Aerosmith doing here? Anyway, PJ Harvey should get this one, but she’ll be buried by Bono and Co. Linkin Park was only nominated because of their record sales, but that doesn’t make Grammy voters any more likely to vote for them. Adams’ collection of classic-rock rewrites has been invisible to MTV and radio programmers, but he’s popular with musicians and might have won if U2 weren’t in this category. The prediction: Radiohead. Grammy voters will want to vote for Coldplay, but will probably feel guilty about the decision and choose Radiohead. The English band will win strictly for their reputation and not because voters really enjoyed “Amnesiac.” Fatboy Slim is still in the running because he’s appreciated by his fellow artists. Bjork’s album was too challenging and Tori Amos’ CD was forgettable. The prediction: P.O.D. Admit it. You secretly like P.O.D.’s song. Tack on the fact that the song’s message is overflowing with Creed-like positivity and you’ve got hard rock that could come with a parental stamp of approval. Rage Against The Machine is the wily veteran of this brood, and they could slip in there if voters split between top-selling Linkin Park and P.O.D. The prediction: System Of A Down. Slayer and Black Sabbath were included to honor these metal pioneers, but this will be System’s award. Slipknot’s cut lacked those melodic vocal harmonies that propelled “Chop Suey!” to crossover success. Tool are musicians’ musicians and that could make them contenders. The prediction: Alicia Keys. This might be the toughest choice this year for Grammy voters. Mary J. Blige is a favorite among musicians and fans, alike. Aaliyah, who died last year in a plane crash, will be the recipient of a great deal of sympathy votes. Destiny’s Child had a stranglehold on the pop charts for most of last year. But Keys is the artist of the hour and this will probably be another category in which she will prevail. The prediction: Outkast. This another tight race. Jay-Z, Outkast and Ludacris all hit big this year and they’re respected by their peers (Nas excluded). “Stankonia” was a trailblazing effort — and the best-selling of the three — and could squeak out a victory. The prediction: Bob Dylan. L.A. Times rock critic Robert Hilburn said it best when he wrote that this category is usually filled with heretics from mainstream rock and country. Although Lucida Williams’ “Essence” is an elegant, introspective followup to her breakthrough, “Car Wheels On A Gravel Road,” and Gillian Welch’s CD is the best of her career, Dylan will grab the Grammy in this category. If U2 or Alicia Keys hadn’t released albums, this year’s awards would be a repeat of 1998 when Dylan won a trio of Grammys. The prediction: Trisha Yearwood. Although the inclusion of the “O Brother, Where Art Thou?” Soundtrack and “Timeless — Hank Williams Tribute” in several Grammy categories signals that traditionalism is creeping back into mainstream country music, the name recognition factor of Tim McGraw and Willie Nelson could make this contest a toss-up. However, I believe this will be the rare instance when true artistic achievement is rewarded and Trisha Yearwood’s name will get called. Tags: "O Brother, 2002, Alicia Keys, Bob Dylan, Grammys, India.Arie, Outkast, predictions, System of a Down, U2, Where Art Thou?". Bookmark the permalink.